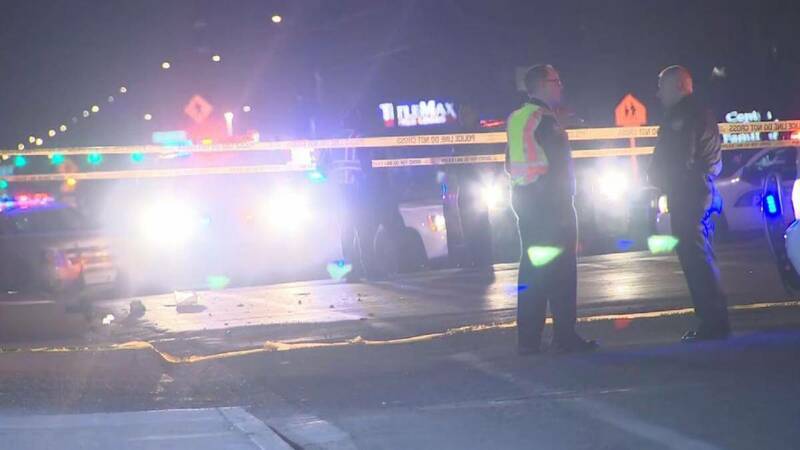 PHOENIX, AZ – According to the Phoenix Police, a pedestrian was reportedly struck in a hit-and-run case and lost his life on Saturday night after the accident. The incident took place at around the time of 9:30 p.m. The place was near Interstate 17 and Indian School Road. At around the mentioned time, the man whose name was Leslie Etsitty was passing through the Westbound on Indian school road. At the same time, Etsitty was struck by white Ford F-15 which came from nowhere and collided with him. The driver of the Ford car did not stop at the scene and fled away after colliding with Etsitty. Following the horrific accident, the victim, 58-year-old Leslie Etsitty was rushed to a nearby hospital where he was succumbed to his injuries and was pronounced dead. The man had suffered severe injuries as the impact of the collision was quite heavy. After the accident, the Phoenix Police temporarily closed the Indian School road between the 22nd and 23rd avenues. After the accident, the authorities are actively looking for the driver who was responsible for the accident and fled the scene. The crash is under investigation, and the Police are taking help of surveillance cameras and nearby eye-witnesses to try and reach to the man responsible for the accident. The Phoenix Police is asking for any information regarding the case. And, you can contact Phoenix Police or inform as a silent witness at 480-WITNESS if you have any information regarding the man responsible for the accident.